For a while I've been wanting to write about video games, but I wasn't sure how - over and over when I have chatted about video games with people, from fellow geeks to potential dates, I have given myself the title and the definition of a "Gaming Enthusiast" - somebody who really enjoys playing video games, who can geek out about games at a moment's notice, but that isn't necessarily very good at them. And I realized that that, right there, is my hook, my unique perspective on gaming. 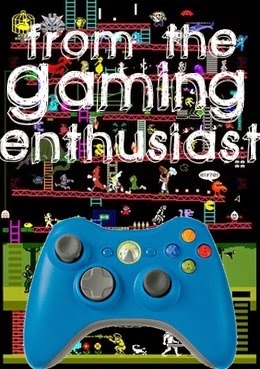 Most people that write about games have at least a decent amount of skill, whether it's only regarding one platform or one genre of gaming, and I have a few games that I have beaten in the past, but overall I play games as a way to have fun. And when I write about games, I'll be enthusiastic about how fun they were for me. 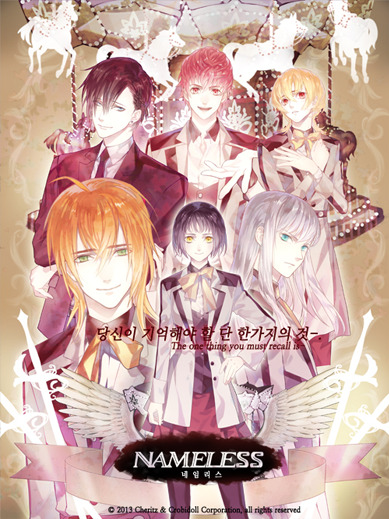 So you might me asking what exactly this game is, and I'm going to tell you: This Korean-made game is structured like a typical dating simulation game, or dating sim as it's commonly called, that are rather popular in places like Korea and Japan. 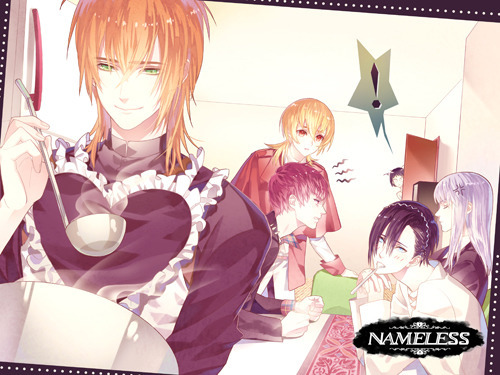 The 5 boys that the main character has to choose from appear in the beginning very much as stock characters. 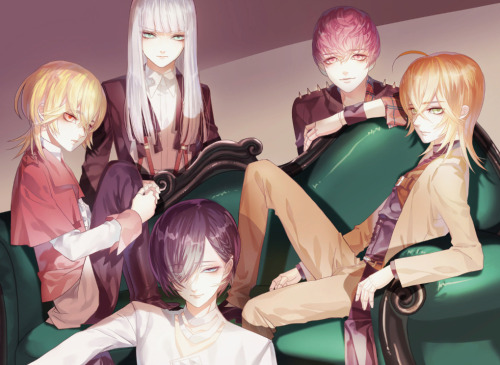 However, you cannot judge this game solely based on the Prologue and on how these 5 handsome boys appear when you first meet them: The narrative is incredibly detailed, the characters are unexpectedly deep and each have their own underlying psychosis, and while it might not look like it, this game can get very dark, and very twisted. Not to the point that will turn you off, but just enough to keep you hooked - and maybe enough for you to shout, "WHAT THE HELL JUST HAPPENED?!" at your laptop and in your sleep after you've unfolded a particularly disturbing scene ending in a Game Over screen. For any other English majors that might be reading this, with the way each story line reveals different aspects of the overall story with each new character your MC gets close to, and with the different choices you have and the paths you can take, this might almost be an example of a visual hypertext as well as a visual novel, which is very exciting. Let me tell you the premise of the story line that Nameless will unfold for you: The main character (who has a pre-set personality, but whom you are allowed to personalize with your own name or any name you choose) is a high school freshman who lives by herself since her grandfather passed away (her parents are researchers that have lived away from her for work since she was 5). She does have 2 best friends that she attends Clover Academy with, but she can't be her true self with them because she's keeping a big secret from the rest of the world, and that is that she has a fondness and a hobby for collecting ball-jointed dolls, and she owns 5 of them. 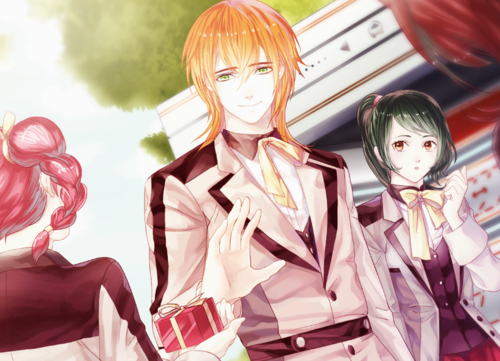 Lance, the silver-haired doll ~ Red, the red-haired doll ~ Yeonho, the yellow-haired doll ~ Tei, the brown-haired doll (it looks more orange/natural red head in the game, but oh well) ~ Yuri, the black-haired doll. In a non-creepy way, when the MC comes home she greets her dolls, tells them about her day, expresses her worries for them, etc. Then one day, without any sort of warning, her dolls have suddenly come to life and have turned into real-life, living and breathing (and bickering) men! Well, technically boys - Yuri is the only adult among them. With this story line, obviously there is a lot of hilarious hijinx at the beginning, but the game isn't solely compromised of that, I promise you. But there is plenty to get you laughing in this game, as all of this game's characters, both the main and the supporting, are incredibly entertaining. One main element that is the basis of the game's underlying story line relates to the importance and the loss of memories, and you'll be chewing at the bit to play all 5 story lines in order to reach the story's conclusion. The music for this game, while repetitive after a while, is always perfect to set any mood (the music you get during certain "bad endings" is really freaking creepy, which is the point). The text is in English and is translated well, so there's no worry about having to read choppy English like in online translated manga pages. All of the voice acting is Korean, and you are able to turn off the voices, but I do honestly like the unique voices of each character (every time I hear Yuri say "My honey" in English amid all of the Korean I can't help but laugh out loud) so I recommend that you keep them on. For those that are thinking about trying this game, I have some advice and some general tips. #1: People on the internet have recommended a play order for each character's story line so that you get the overall story fed to you in the best possible order. This recommended order is Lance, Yeonho, Yuri, Tei and then Red (you can't play as Tei until you've finished 1 of the first 3 story lines and Red isn't unlocked until you've played the first 4). However, I played this game in a different order and it didn't effect my overall enjoyment of the game, so honestly it doesn't matter. If you're a perfectionist/completionist with games, go with this order, but if you just want to have fun, go with what you feel. #2: While this game does give you plenty of choices at random intervals, if you want to progress in the game to the "happy ending" (or to unlock all of the bad endings, which can honestly creep you out if you've started to get attached to any of the characters) there is a right answer to each question. In the opening chapters, the answers you give have to positively affect your relationship with one of the boys over all the others, and that is when that boy's story line is triggered. Don't let this scare you away from having fun; just play around with it, and if you're worried about making the wrong choice, you can Quick Save or create a new Save File for that moment and always go back to it to change your mind later. #3: Worried about going through the opening chapters three times just to jump-start a new character's story line? No problem! There's a skip button! You can either auto-skip so you don't have to click along or quick-skip through dialogue that you've already read. One great feature is the quick-skip button will only skip over text that you've already read. If a new section is added to the opening chapters that wasn't revealed in a previous story line, the skip feature will stop so that you don't miss any new details that might be important later. #5: If you are somebody that normally skips cut-scenes in a game, or if you are someone that doesn't like emotional components to be part of a game, then this isn't the game for you. Instead of action sequences and loot, this game is all about the characters, and the story. I'm giving you fair warning right now: This game has plenty of feels! #6: I'm not positive where else this game can be downloaded, but with regards to its current listing on Steam, it may be considered a little pricey. When I bought this game, it was listed as $38.69 Canadian. There is a different way to look at the cost of the game though: First, think of the average price of a book. Then consider that this game is basically 5-6 books crammed together. From that perspective, it's a bargain! #7: This game contains two types of mini-games that you will have to play depending on which story line you're in. There's a card matching game, which is really easy, but in every story line there is a 10 question quiz you have to take, asking true or false questions about the characters but also about basic facts. It is timed, and can be annoying, and while it may not seem important to pass with flying colours, always save before taking the quiz and keep re-taking it until you receive an A+. It will help you unlock some of the cool extras included in this game, which I'll chat about in a minute. #8: You shouldn't be afraid to get personal with this game! What I mean by that is, when you first set up the game, you are asked the name of the very first toy you ever owned. Can't remember the name? Well, that's sort of the point. Regardless, don't be afraid to use the name of your first toy. Also, if you're up for it, use your name for the main character. This way all 5 hot boys are talking directly to you. It might seem weird at first, but it helps to bring you into the story that little bit more for that extra blanket-level of immersion. #9: There is one thing about this game that bothers me, and it isn't technically part of the game itself: As part of the end screen each time you finish a character's story line, the tag line for one of the companies that created the game is displayed, and it reads: "Sweet Solutions for Female Gamers." For many obvious reasons, this tag line bothers me: it's making an assumption about the kind of games that women are equipped to play. But that opens a whole other can of worms, so I will not get into it, but I do know that it's wrong. I will add that I hope this doesn't make you look at the game itself in a negative light. Anyway, I highly recommend this game for anybody looking for a good story that's unpredictable, has multiple sides, and isn't afraid to get serious and dark when it needs to. 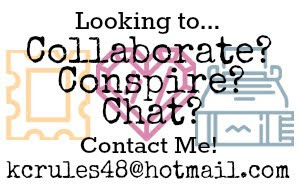 Now let me ask: What should I chat about next? I'm a big fan of Telltale games, and those might be fun to gush about. I'm also a die-hard Saints Row fan, so that's definitely an option. Also, the same people that put out this game have another similar game I believe, which I'm tempted to buy. If you have any ideas, please post them in the comments below. Normally, I'd say I'M OUT at the mere mention of dolls, but this does sound like a fascinating concept! I may look into it further in the future. Fantastic review! I would like to explain the "female gamers" jargon, though - Have you ever heard of the word "otome"? It means "maiden" in Japanese. There's a very specific niche of visual novels labelled as "otome games" which means it targets the female audience. Nameless is an otome game, actually, but of course seeing the literal translation of it as "female game" without any context is a bit jarring. Not that guys aren't able to play these, too! But the labelling is the same as the labelling used in genres like "shojo" ("young girl") or "shounen" ("young boy") in manga/anime - it refers to their target audience and general appeal but doesn't necessarily mean that that audience will only exclusively like said genre, or that the genre is limited exclusive to said audience. It's just been literally translated. Hope that helped!